A few years ago, I had the incredible opportunity to build out a brand new team and product area from scratch. 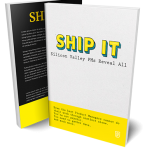 I was working for Shopify, an e-commerce platform, and had been running experiments involving stock photography for entrepreneurs. After proving out the idea, I was offered the rare chance to build a free stock photo library and platform from the ground up. This blank slate brought with it a couple eager engineers and slew of creative, operational, data, engineering, and product challenges that no one at the company had ever faced. I spent the next two years recruiting, hiring, and leading the multidisciplinary product team that built Burst. After a lot of trial and error, we came to rely heavily on rituals to guide us through the uncertain and often rocky terrain of new product development. We experimented and iterated on them a lot, but the end goal was always to build alignment, ownership, and context across our team. In retrospect, principles and processes like the nine examples detailed below were key to our team’s success and velocity. We launched an MVP within months, a data-driven photo studio shortly after, and to date, we’ve served more than ten million users around the world. I recently started a new team at Shopify, but the Burst team continues to produce stunning free stock photos for entrepreneurs. Here are some of the product rituals and teamwork principles that have served us well. I used to avoid meetings at all costs, but as my team grew, I realized that a certain level of structure was necessary to establish a consistent pace and sustainable rhythm. 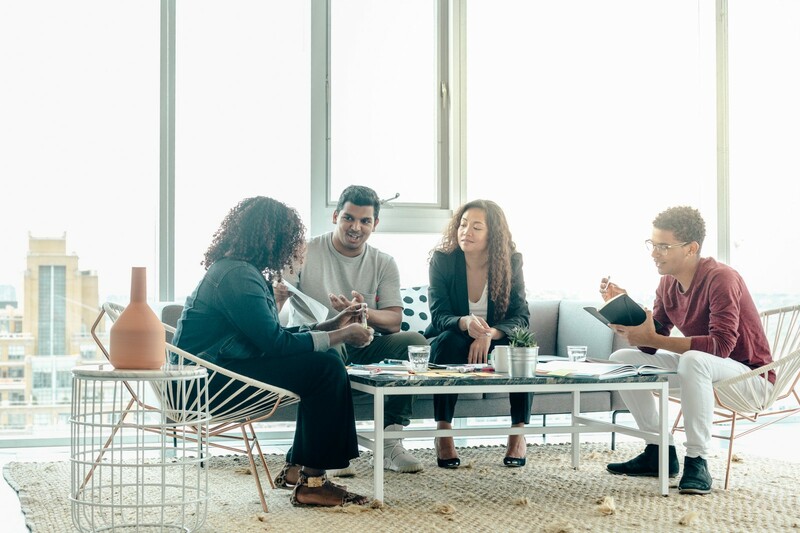 Inspired by the cadence suggested in the book “Scaling Up”, we scheduled weekly, monthly, and quarterly meetings that each served a distinct purpose. As a starting point, we adopted weekly sprints on both our R&D and Photography teams. The goal was to get everyone on the same page about the scope and priority of the issues at hand, so we strived to make these discussions as tangible as possible. Each Monday morning, we’d scrawl issues on color coded post-it notes that we’d move across our whiteboard throughout the week. These notes didn’t replace GitHub issues, but they did allow us to bring abstract issues to life — anyone on the team could see, and call out, issues that had been stuck in one place for too long. This tangible approach to sprints grounded our planning sessions and ensured we were all focused on the same priorities. While the weekly sprints were effective at aligning our R&D and Photography teams respectively, we noticed that context was still getting lost across our two teams. We needed to ensure there were opportunities for the whole Burst team to share news, debate issues and vote on decisions together. That’s when we started planning hour-long “All Hands” meetings each month. Scheduling these proactively proved to be efficient, as important topics invariably came up and this pre-booked time provided us all with the perfect opportunity to come together before issues boiled over. Once a quarter, we’d set aside time to go over our longer term roadmap, explore product strategy and engage in a fun team-building activity. These meetings were longer than our monthly synchs and allowed us to zoom out and focus on longer-term priorities. This ranged from aligning on team values to sharing stories about burnout, to jumping in a lake in the pouring rain. There’s a certain level of chaos that’s inherent in any high growth company, but I strived to soften that by creating space for my teammates to own decisions and outcomes wherever possible. It became clear there was a strong correlation between ownership and motivation; the more involved people were in the decisions, the more invested they were in the outcomes. Here are a few of the rituals we adopted to foster a sense of accountability and ultimately bring out the best in each other. Every project that we shipped had a Champion who was accountable for leading their teammates from idea to execution. 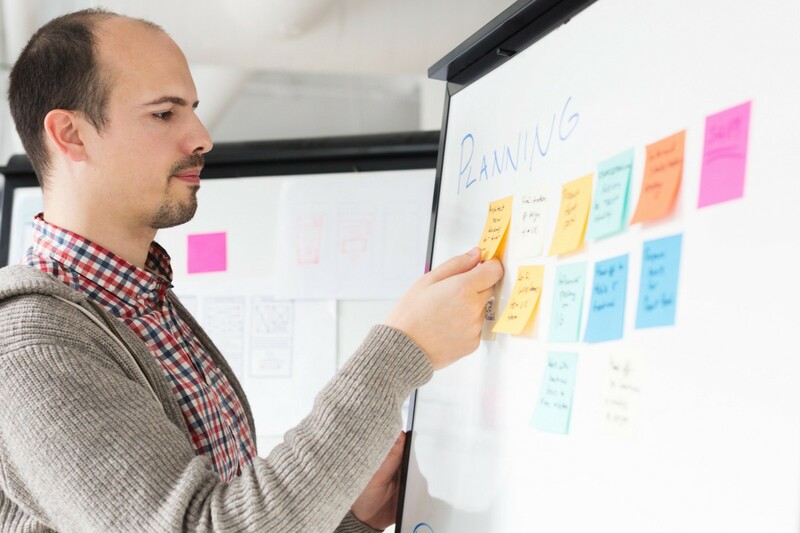 Depending on the nature of the feature and the risk involved, the champion might be an engineer, designer, marketer, operations manager, or even me — the product manager. Along with bearing the tedium of stakeholder management, dependencies, and documentation, champions were responsible for deciding how to celebrate and announce their feature’s launch. More often than not, they elected to launch a rocket. To kick things off, they’d select a toy rocket from a nearby store that we’d keep on display throughout the development process. Once their feature shipped, we’d all head to a local park for an informal retro and ceremonial blast off. Whether a project was a blazing success or an arduous struggle, this launch ritual allowed us to symbolically end that chapter and also celebrate the champion who led the way. One of my favorite Burst rituals was our Happiness Projects. What started as a recurring release valve for potential process improvements became a quirky expression of our team’s unique culture. Each week we’d poll the group for suggestions on how we could improve our environment or processes. Sometimes this would inspire operational or technical breakthroughs — someone would identify inefficiencies or blockers that would lead to major gains. Other times, we’d all agree that our office needed some kitschy art or an old school Nintendo. All that mattered was that anyone could make a suggestion and everyone would vote on how we should make Burst just a little bit better that week. Early on, we stumbled across a surprisingly simple method for depersonalizing and democratizing our decision-making processes. Whenever something was up for debate, like our quarterly offsite activity, we’d all brainstorm the potential options together and write them out on a whiteboard. Each person would get a marker and could add three dots beside whatever they wanted. This meant they could place all three dots on the same option, or one dot on three different options. Not only did this make voting a little more fun, but it also removed the awkwardness and indecision of being put on the spot when called to vote. Early on, I realized that for almost every problem or decision on the horizon, there was someone more qualified than me on the team to tackle it. That meant investing time into sharing context was really high leverage, so I looked for ways to embed transparency and information-sharing into our team’s culture and processes. When colleagues returned from vacation, I noticed they often needed a full day to catch up on all the changes, decisions and new information that had emerged in their absence. Often, this mild anxiety and post-vacation uncertainty would linger for days. To minimize this inefficiency, I created an email group where I’d send a brief email update each week. 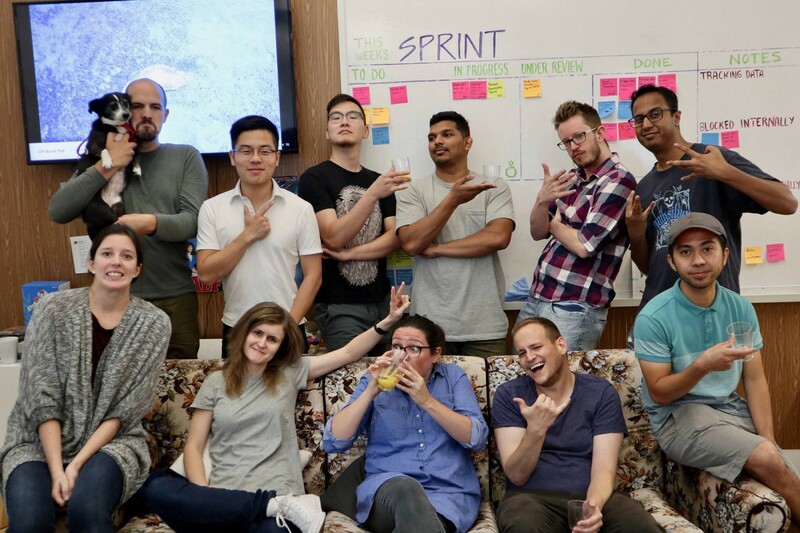 It included a few highlights from our previous Show & Tell, any vacation or meeting updates from our team calendar, and a high-level summary of our sprint decisions and takeaways. After we agreed this new ritual was worth keeping, we began to rotate the responsibility each week, so that each team member only wrote the newsletter every few months. We’re 40+ editions into this ritual and it’s been really cool to see the content and format evolve and change with each new team member who contributes. When building a net new product, it’s easy to lose focus and get caught up in the lure of what you could be building. With an open-ended mandate and a high potential team, it can be tough to get everyone excited about the same short-term priorities. We tackled this challenge by first aligning on our broader mission and KPI’s together, and then working backwards to translate those longer-term goals into tangible monthly targets. Using tape, we created a public “scoreboard” that measured our growth targets against time, and every few days we’d use whiteboard markers to update our team’s progress against those goals. Colleagues could easily tell what mattered most to us and whether or not we were on track. The tangible act of updating the scoreboard reinforced accountability across the team and the visual reminder proved valuable for prioritization and alignment. Another ritual that wove transparency into our team’s culture was our weekly Show & Tells. Every Friday, we’d invite our extended family of service line support staff to join us around our team’s aging couch for snacks, drinks and half an hour of context-sharing. We didn’t have much seating, but we had a large rug that we’d all sit around while volunteers shared what they learned or created each week. Having a team that was so diverse was a struggle at first because everyone used different terms and tools that were specific to their craft. Show & Tell helped us bridge that gap by providing weekly windows into each person’s unique role and how they contributed to the overall product. The goal wasn’t to share technical feats, but rather to celebrate our respective crafts and build empathy and appreciation for our multidisciplinary team. Lindsay Craig is a Senior Product Manager at Shopify and founded and led Shopify’s free stock photo platform. 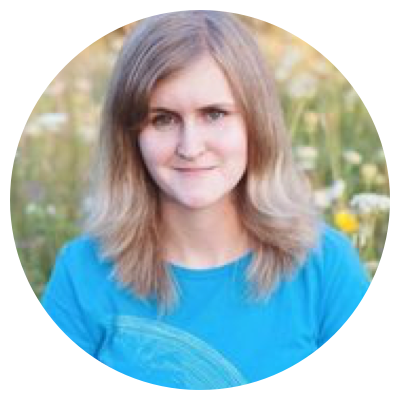 She built a multi-disciplinary product team and content library from scratch and scaled from 0 to over 1 million downloads per month. A Shopify, Lindsay also grew and internationalized an acquisition into 36 markets.